"Hometown", the latest video from JD Shelburne is a personal chronicle of his small town upbringing and his hopes that it endures for future generations. Shelburne is currently on tour and has performed at over 500 festivals and 1000 clubs in his career, opening for artists such as Kenny Chesney and the Steve Miller Band. He has appeared at NCAA, NASCAR, and NBA events, the SEC Basketball Tournament and twice at the Kentucky Derby where he was interviewed by the David Letterman Show (2014.) He has two independent album releases since 2008 and has accumulated over 14k Facebook fans. 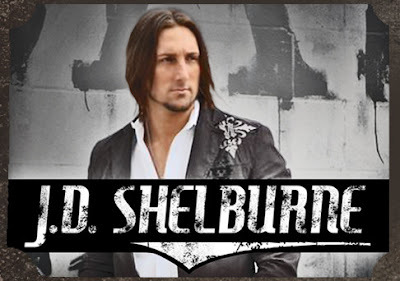 His website JDShelburne.com has garnered over 1 million hits since it launched in 2005.